American River College is in collaboration with Sacramento Food Bank and Family Services to bring a food pantry to campus on Feb. 21. This will be the first of four opportunities that students and staff will have to access this resource this semester. “It’s for everyone, the entire campus has been approved, the entire student body has been approved,” Kristina Casper-Denman said. Casper-Denman is an anthropology professor who has been involved with the food pantry’s planning process. 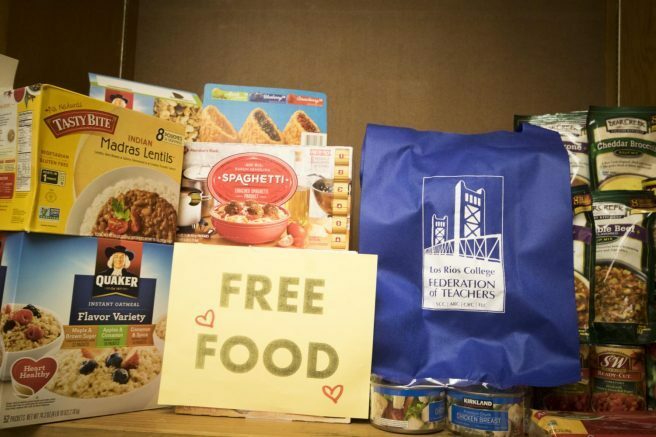 This is not the first time a food pantry will be held on campus however, there was a soft launch for the Beaver Food Pantry in the fall of 2017 and there was planning long before. According to Casper-Denman, there is a pre-registration form students must fill out. The people who will distribute the food must get a food card and go through a food safety course. This form goes over the types of food, how often there will be food, and the safety training of the people passing out the food. This is important because perishable food will be handed out and there are laws and safety concerns. Food will be distributed by staff and students. The food distribution will be located inside the ARC gym sporting complex in front of the gym ticket window. “This is a question of respect, this is to make sure people don’t live in a food desert, to make sure that people aren’t going without,” Casper-Denman said. Be the first to comment on "ARC prepares to host food pantry"